Blanket rims with quartz-based protection! GYEON Q2 Rim is the only quartz-based protection product dedicated specifically for use on rims. This unique formula is extremely heat resistant, making it ideal for use on rims. Once applied, GYEON Q2 Rim protects rims from exposure to brake dust and environmental contaminants, while maintaining a like new look about the rim. And the best part is, it lasts for up to 6 months! Your rims are exposed to more damaging contaminants than virtually any other area of your vehicle. Aside from puddles, potholes, and standard road grime, they’re also exposed to brake dust which causes irreversible damage to the finish of rims if not taken care of properly. The easiest way to maintain wheels is to seal out the contamination that causes the damage in the first place. GYEON Q2 Rim protects rims and makes it easier to keep them clean and free of brake dust. GYEON Q2 Rim features an SiO2-based formula specifically dedicated to rims. It bonds to the surface creating a heat-resistant barrier capable of withstanding temperatures as high as 800 degrees Celsius (1472 degrees Fahrenheit). The extremely hydrophobic formula produces a self-cleaning effect that makes it easier to keep wheels clean—just use a pH-neutral wheel cleaner and watch grime melt away! Always work on a clean dry surface. Thoroughly clean the wheel to remove any iron or tar using a clay bar if necessary. Prepare the surface for the coating using GYEON Prep to remove any residue and ensure proper bonding. Shake GYEON Q2 Rim well. Using the included applicator, apply a thick, even coat. Wait 2-5 minutes for GYEON Q2 Rim to dry, then wipe off. Allow to fully cure for 24 hours prior to driving vehicle. For faster cure time, use infrared lamps for 1 hour per rim. GYEON Q2 Pure 30 ml.GYEON Q2 Pure 50 ml.GYEON Q2 One 30 ml.GYEON Q2 One 50 ml.GYEON Q2 SyncroGYEON Q2 Mohs Ceramic Paint Coating - 30 mlGYEON Q2 Mohs Ceramic Paint Coating - 50 mlGYEON Q2 Matte 50 mlGYEON Booster - 30 mlGYEON Q2 CanCoat - 200 mlGYEON Q2 Trim - 30 mlGYEON Q2 View - 20 mlGYEON Q2M Compound+GYEON Q2M Compound+ 1000 ml.GYEON Q2M Compound 120 ml. GYEON Q2M Compound 1000 ml. GYEON Q2M Polish 120 ml.GYEON Q2M Polish 1000 ml.GYEON Q2 Primer 120 ml.GYEON Q2 Primer 1000 ml. 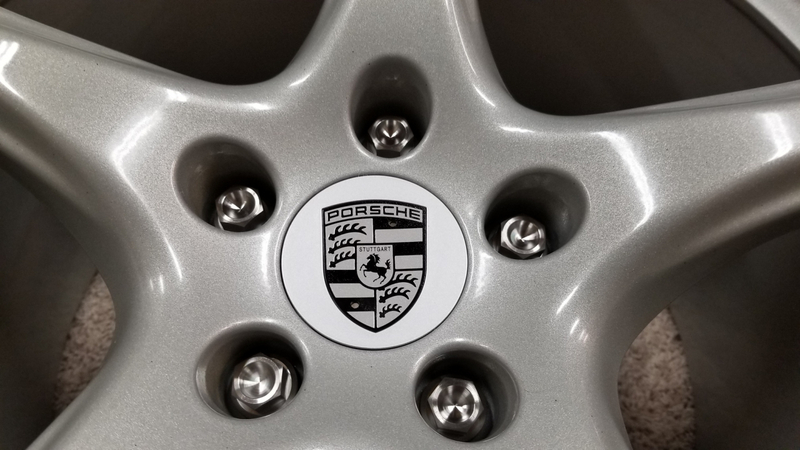 Applied Gyeon Q2 Rim to four freshly powder-coated BBS Porsche alloy wheels and four red brake calipers. 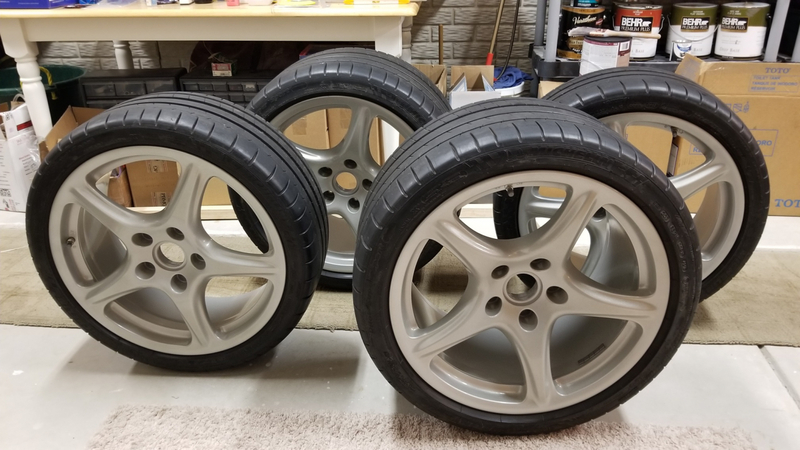 Used all, 30 ml, to apply four coats to two 8.5" x 19" and two 11" x 19" wheels and two coats to each brake caliper. Applied in winter, in our 66 degree basement. Needed 2 days between coats for them to fully cure to a smooth surface. Added "sacrificial" layer of SiO2 coating to the wheels. Coating is good; awarded four stars because applicator is wide, flat, and too firm to effectively apply to tightly curved surfaces, and too big to apply in tight spaces. Bought set of three micro detailers for those areas. Works good so far so good.